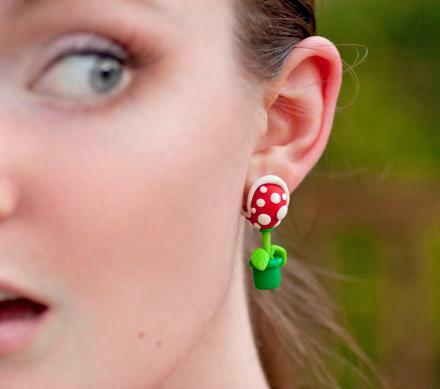 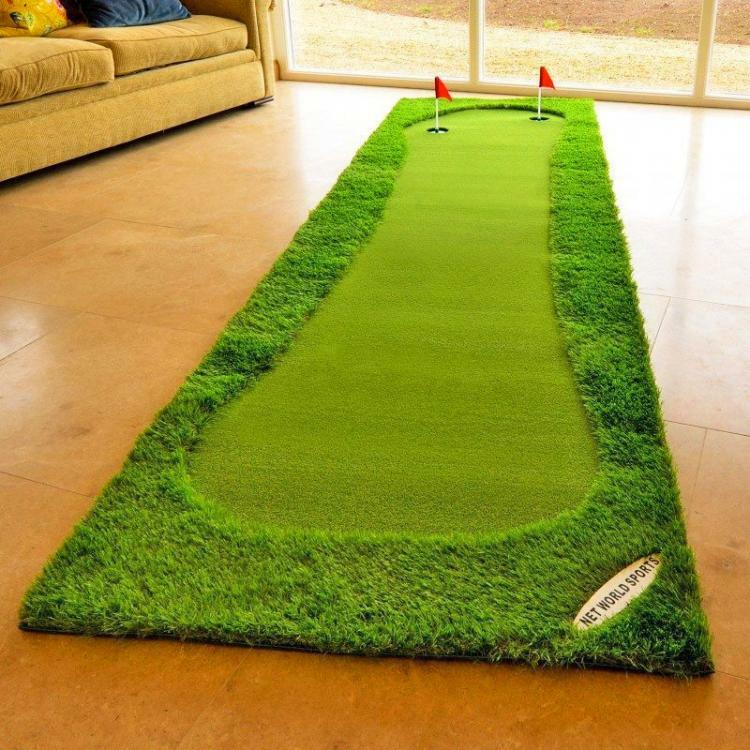 Some people just can't get enough golf in their lives. 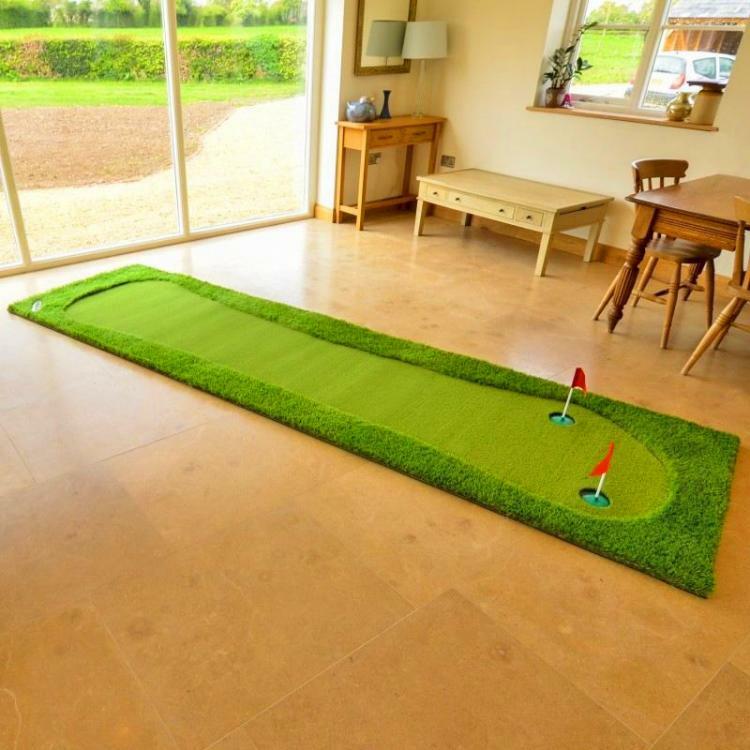 That's why there are so many golf products that allow you to practice at home (including on the toilet). 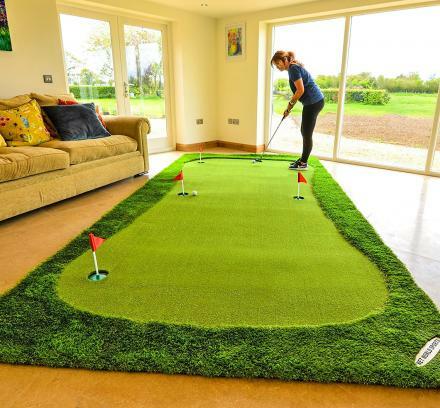 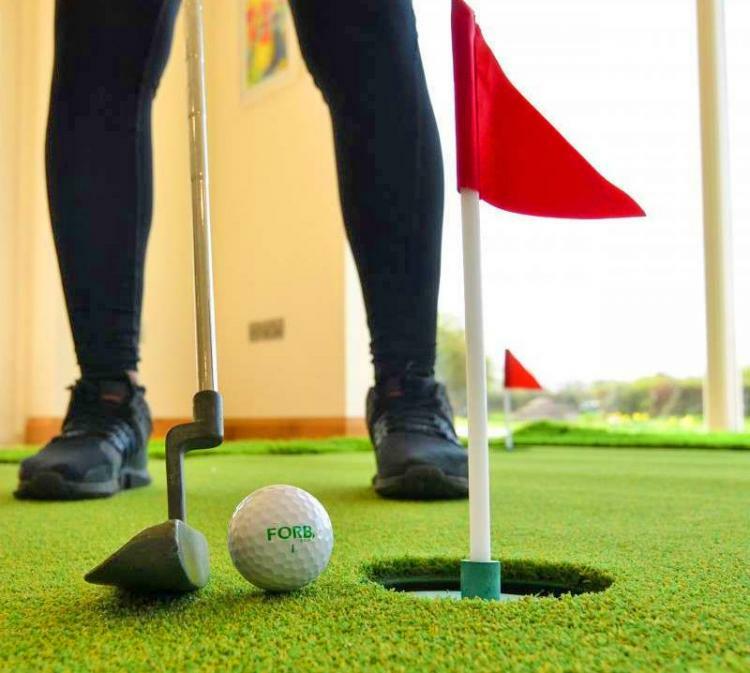 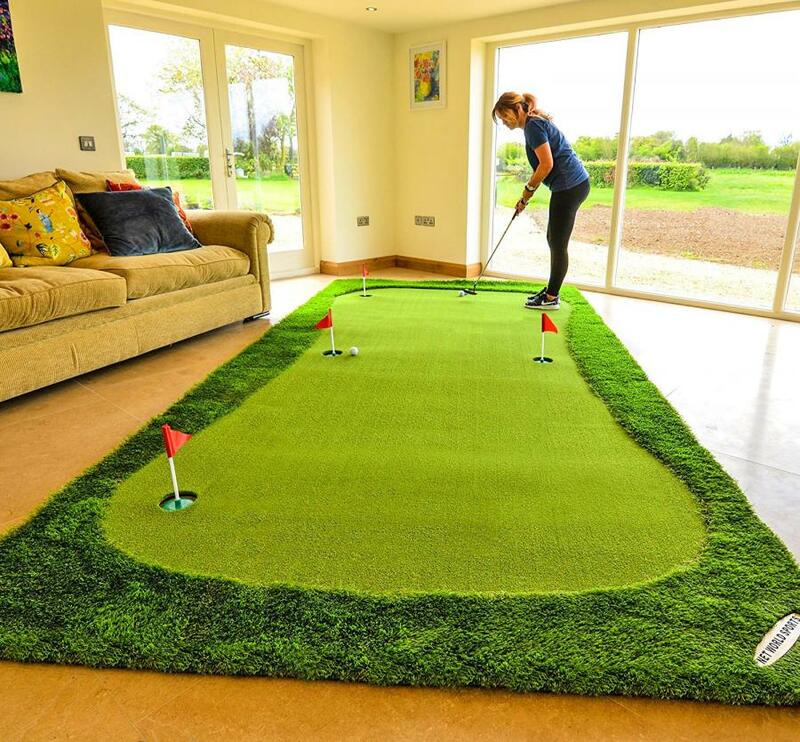 Well, if you want to take your love of golf to the next level, and essentially turn your home into a putting green, you may want to check out this giant golf putting mat that's designed specifically to practice your putting while at home or at the office. 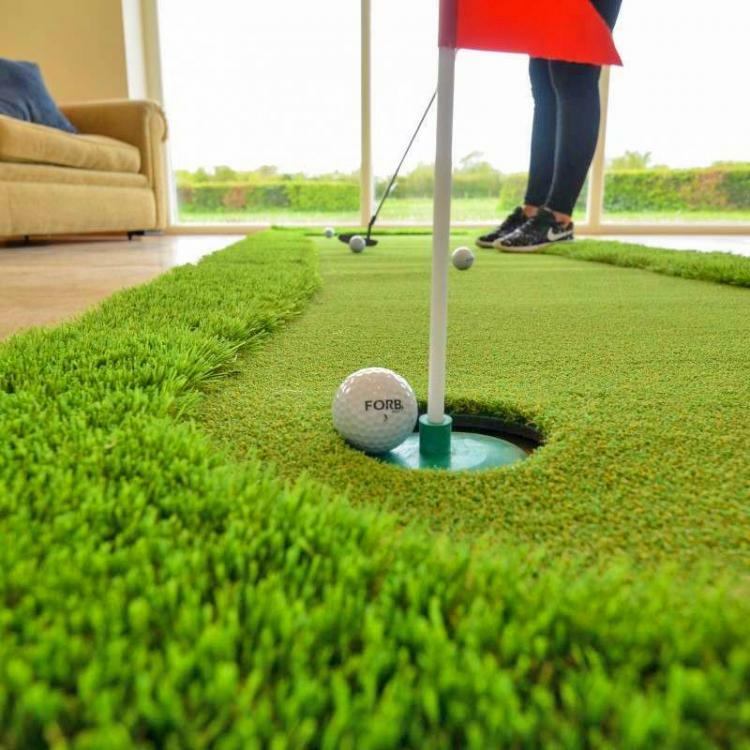 This giant golf mat will take up plenty of space, so make sure you're well off with your square footage, and have plenty of open space in your home or office to place this giant putting green. 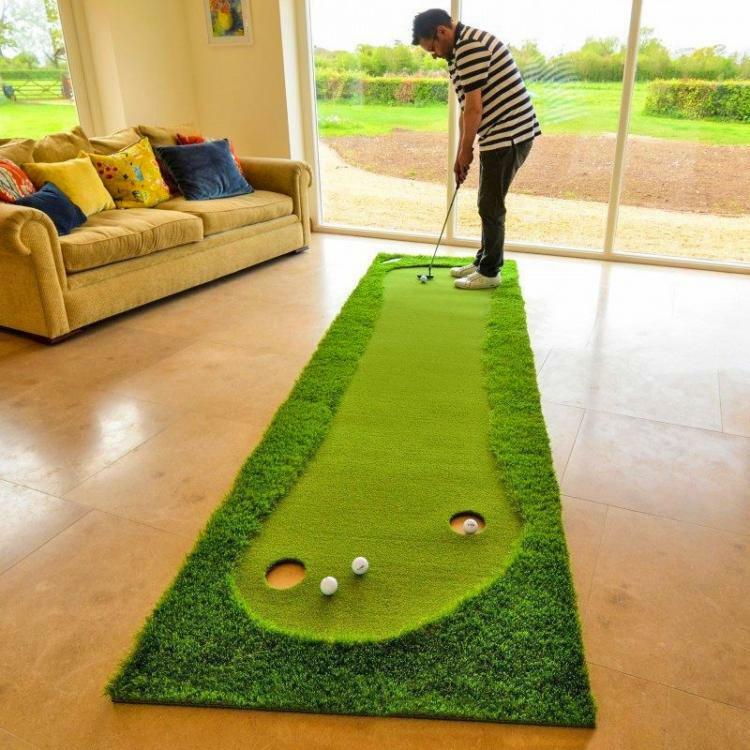 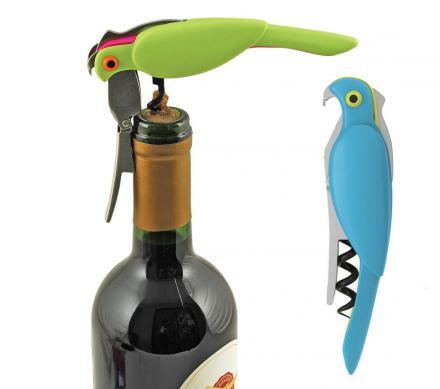 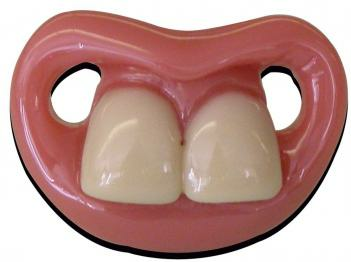 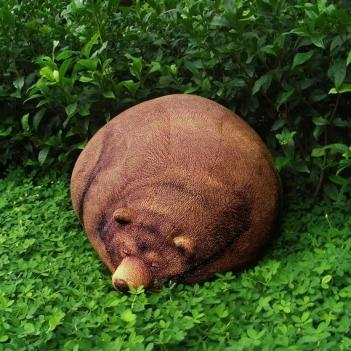 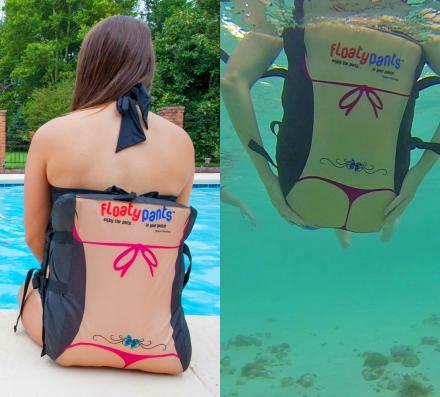 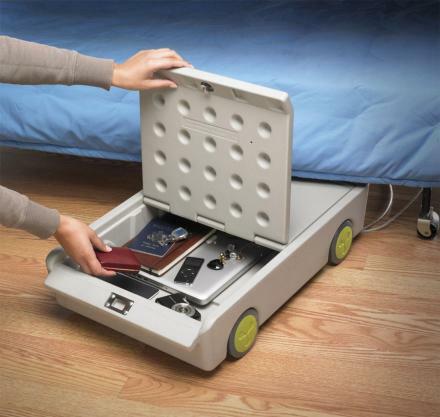 This fun putting mat is perfect for both indoor and outdoor use. 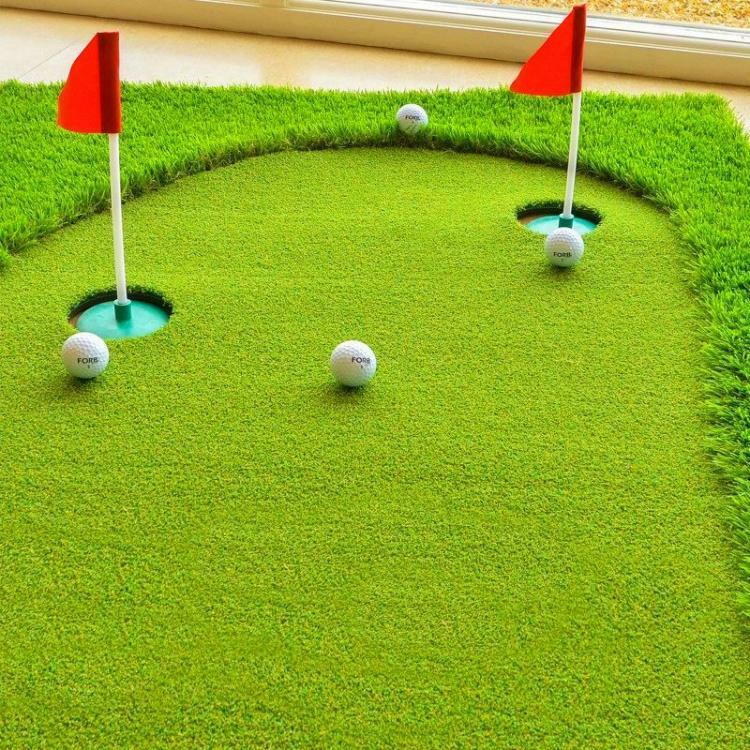 Just roll it out and refine your putting skills wherever you want it, especially great for small hills or humps in your backyard. 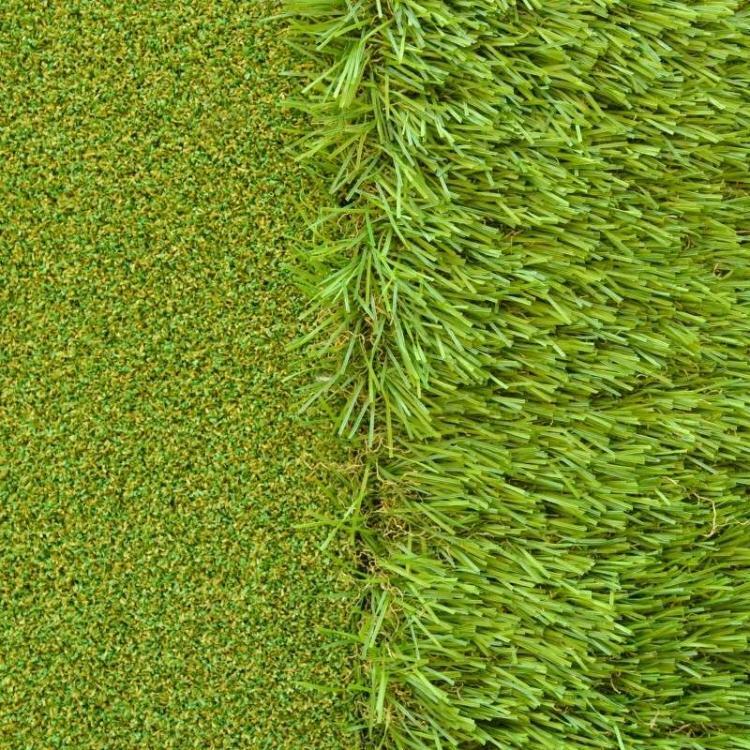 The giant practice putting green also replicates the fringe/fairway grass around the perimeter of the green with 12mm high quality artificial turf. 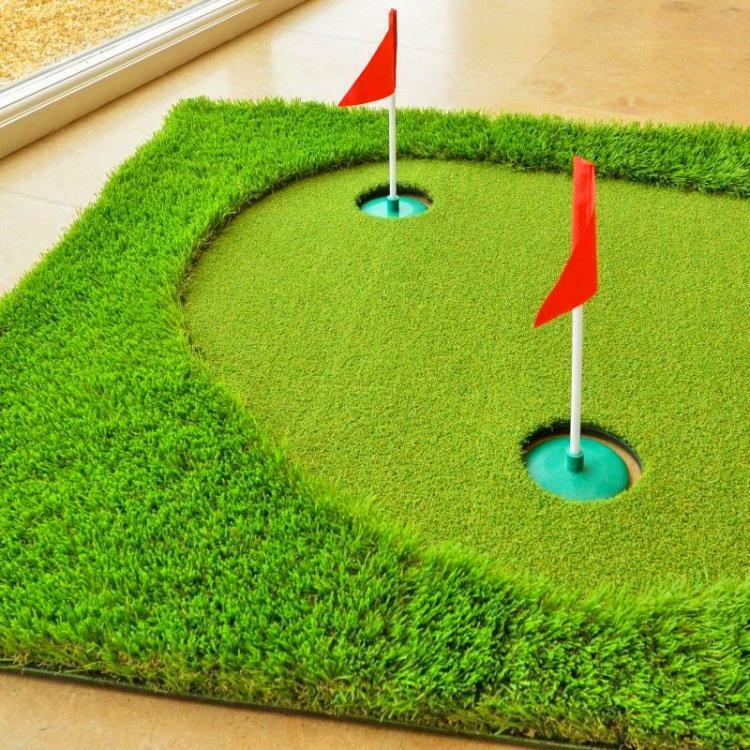 The giant putting green mat comes in two different sizes depending on how much space you have to work with, and depending on just how serious you want to get with your putting practice. 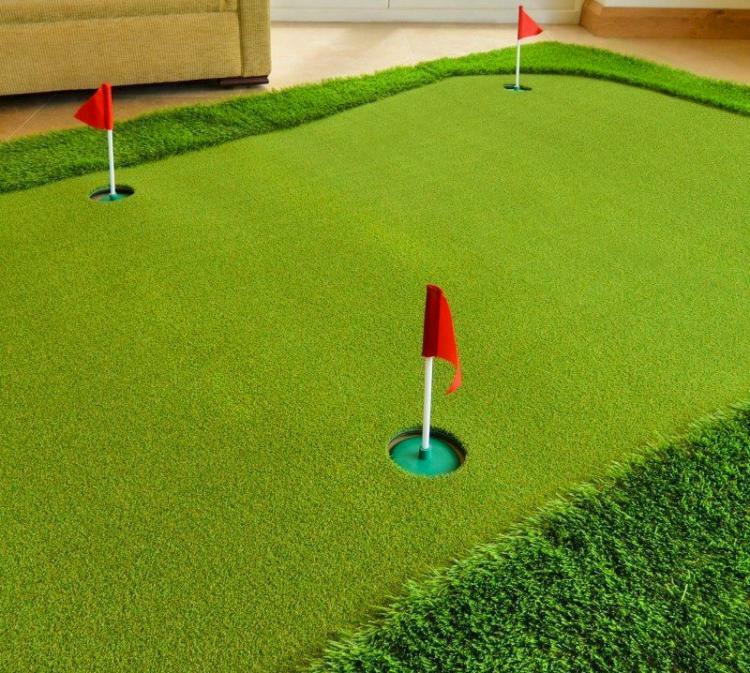 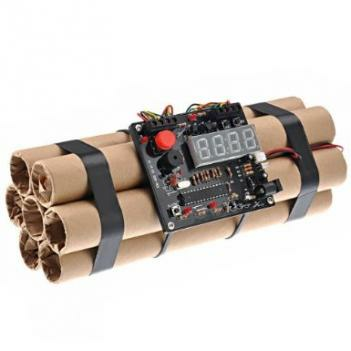 The smaller "Pro Standard" version measures 12 feet long x 3.2 feet wide and comes with 2 holes and flags, while the larger "Pro XL" version measures 13.1 feet long x 6.5 feet wide and includes 4 holes, flags, and even comes with F-5 tour quality golf balls! 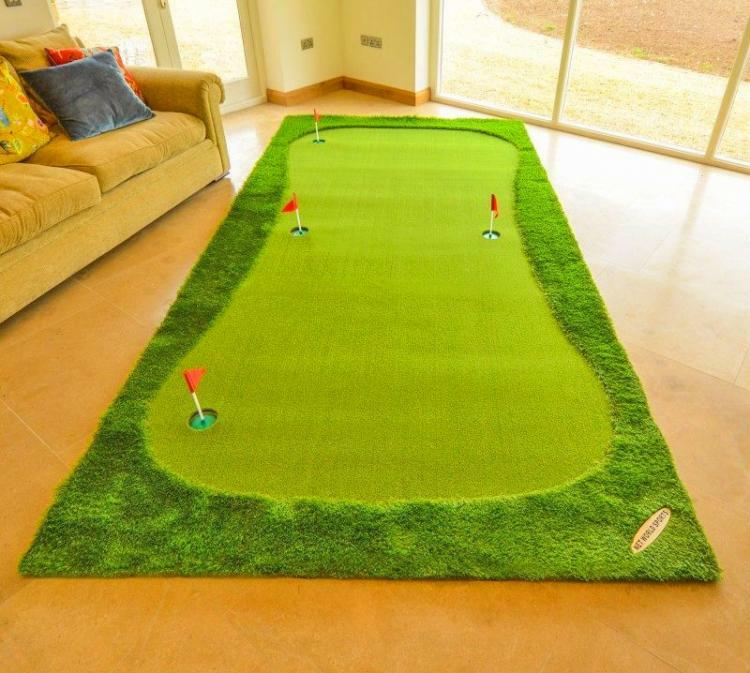 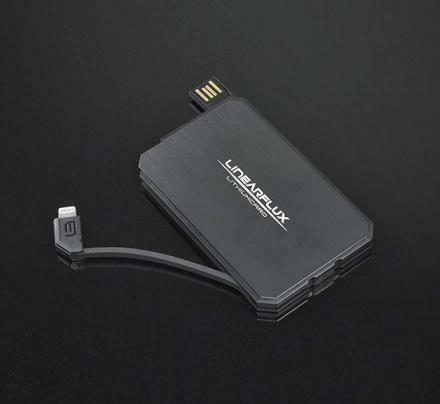 Improve your game in the comfort of your own home, then take your better game out into the golf world.